Back in March 2017, new driving laws were introduced regarding the use of mobile phones while driving. As a new driver, it is important that you are aware of these new laws before you get behind the wheel. Not only because questions about them are set to appear in the theory exam, but also because knowing about the laws will prevent you from getting points on your licence and a possible ban from driving. How do the new laws affect drivers? 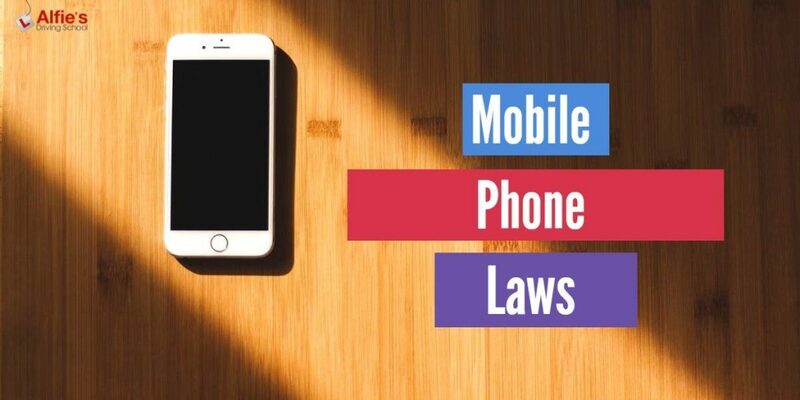 While it has been illegal to use a mobile phone while driving since 2003, the punishment for doing so was doubled in March 2017. Drivers now face a minimum of six penalty points on their licence, plus a £200 fine. If this is not their first driving offence, drivers could also face disqualification. If a driver racks up more than six points in their first two years of driving, their licence will be revoked. This was reduced from 12 points prior to March 2017. If a licence is revoked, drivers will have to re-sit both their practical and theory tests before being allowed back on the road. Can I still use a hands-free device? Yes, but you are forbidden from touching, moving or picking up your mobile device at all times while you are in charge of a vehicle. The police can and will pull you over if they suspect you have been distracted by your mobile phone and will issue you with an on the spot fine if that proves to be the case. What if I use my phone as a sat nav? Yes, but the same rules apply: drivers must not be distracted by the device and must not touch, move or pick up the device while behind the wheel. That means you must program destination details before you set off. Also, the new laws were enacted in part because drivers were found to be distracted by following directions on mobile devices. So they specifically state that it is illegal to hold a mobile phone to follow directions. Therefore your phone must be placed in a hands-free holder at all times. Can I use my phone in an emergency? Yes, drivers are free to use a handheld phone to dial 999 or 112, but only if it is unsafe or unpractical to pull over. This would include occasions such as a motorway without a hard shoulder or contraflow system. Can I still pull over to use my phone? Yes, but you must ensure that you pull over in a safe place and that you are not illegally parked. Drivers must also ensure the engine is switched OFF before picking up or touching their mobile phone. Failure to do so will result in penalty points and fines being applied, regardless of if the car is moving or not. These new laws are designed to keep all road users safe, the number of accidents caused by drivers being distracted using mobile phones has been steadily increasing. It is hoped that more stringent penalties for offenders will help reduce the risks and make the roads safer for everyone.